New Delhi, 21 January 2014 — Ahead of US President Obama’s visit to India, the international medical humanitarian organisation Medecins Sans Frontieres/ Doctors Without Borders (MSF) expressed deep concern over the US government’s heightened efforts to undermine access to affordable medicines from India—often called the ‘pharmacy of the developing world.’ Millions of people across the globe rely on Indian low-cost generics, just as MSF relies on these to carry out its medical work. The US has been scaling up pressure on India and increasing visits to the country over the last several months in order to aggressively campaign against India’s patent law. The country’s law sets a high bar for what merits a patent in an effort to prevent abusive pharmaceutical patenting practices, such as ‘evergreening,’ which put profit over public health by blocking production of more affordable generics. The US is pushing for India to adopt intellectual property (IP) measures similar to those common in the US and EU, which would ultimately result in unaffordable medicine prices for both India and the countries that rely on affordable medicines made in India. US pressure already appears to be having an impact: the new Indian government has been delaying a decision to allow generic production of an exorbitantly-priced patented anti-cancer medicine that is unaffordable in the country—an action recommended by a Health Ministry expert committee to increase access to affordable versions. A ‘compulsory licence’ issued by the Patent Controller in 2012 for an unaffordable cancer drug brought its price down by 97% almost instantly. Also in response to US pressure, the Indian Commerce Minister in November set up a high-level ‘think tank’ to draft national IP policy. First draft of the policy recently released is alarming. The draft emphasises patent monopolies as the key driver of innovation, when such claims have been refuted by numerous studies, and experts at the World Health Organization, which have found IP in fact to be a barrier to both access to affordable medicines, and innovation for medicines desperately needed by developing countries for diseases such as TB. At the same time, the Obama visit comes in the wake of a critical decision by India’s Patent Controller to deny a patent to pharmaceutical company Gilead for the hepatitis C drug sofosbuvir—an example of how important India’s law is to encouraging price-lowering generic competition. The drug is priced in the US at US$84,000 for a three-month treatment course ($1,000 per pill), although studies estimate its production for a three-month course could be as low as $101 (about $1 per pill). The UK’s National Health Service is delaying introduction of the drug because of its cost, and protests have erupted in Spain over the drug’s rationing as a result of its price. Unsurprisingly, discontent is already being expressed and the patent rejection is likely to be brought up by US officials accompanying President Obama. “India’s decision to reject the patent for the hepatitis C drug sofosbuvir could unleash fierce competition among Indian companies to launch affordable versions of the life saving drug this year. Let the exorbitant prices being charged for this hepatitis C drug in many countries serve as a cautionary tale to India—this is what could happen here if the US succeeds and gets India to change its policies. 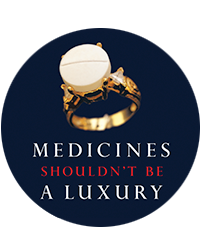 India now faces a challenge: future access to essential medicines for millions of people will depend on the new Indian government’s decisions and the kind of patent and innovation system it endorses,” said Leena Menghaney, South Asia Manager of MSF’s Access Campaign.